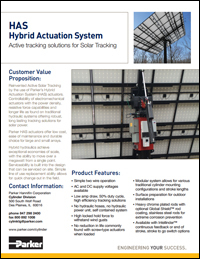 By adding tracking, power generation can be increased upwards of 45% over fixed panel installations.  Proven hydraulics used in the harshest environments and offering the smallest footprint over lead screw style actuators is an excellent choice for tracking actuators. 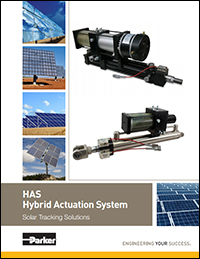 Parker's Hybrid Actuation System (HAS) brings a "best of both worlds" solution to solar, wind and hydro power applications. 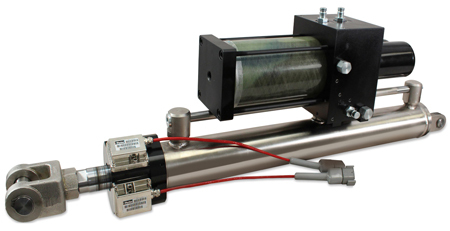 The new hybrid design combines the control of traditional electromechanical actuators with the power density, longer life, and resistive-force capabilities of traditional hydraulic systems. The result is an improved actuation system for single and dual axis tracking and other renewable energy systems, with a wider range of capabilities.